If you have lost a tooth due to an injury or decay, Dental Implants are a great way to recover your smile. While the root implant can be used to support a bridge (or multiple teeth), it is also a preferred method if you choose not to subject your neighboring teeth as a support system. Rigby dental implants are designed to blend in with your other teeth. Dental implants are made up of titanium and other materials that are compatible with the human body. 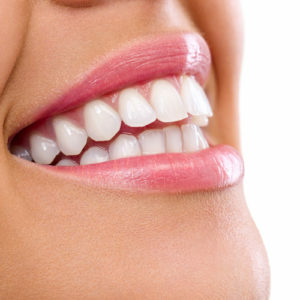 Finally, it’s time for the placement of the artificial tooth/teeth. For a single tooth implant, your dentist will customize a new tooth for you, called a dental crown. The crown will be based on size, shape, color and fit, and will be designed to blend in with your other teeth. If you are replacing more than a single tooth, custom-made bridges or dentures will be made to fit your mouth and your implants. A Rigby dental implant is an artificial tooth root, usually made out of titanium. 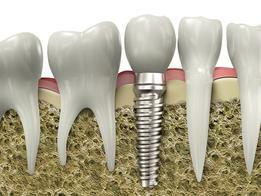 Implants are a tooth-saving procedure when compared to traditional bridgework. Dental Implants are a two-part procedure several months apart. Many insurance plans will cover part or all of this procedure. Worth the wait! Dental Implants are usually the most natural looking and feeling of encasement procedures. Dependable: With a success rate that is highly predictable, implants are considered an excellent option for tooth replacement. Aesthetics: Dental implants look and feel like your own teeth! Since dental implants integrate into the structure of your bone, they prevent the bone loss and gum recession that often accompany bridgework and dentures. No one will ever know that you have a replacement tooth. Confidence: Speak and eat with comfort and confidence! Implants are secure and offer freedom from the irksome clicks and wobbles of dentures. They’ll allow you to say goodbye to worries about misplaced dentures and messy pastes and glues. After an initial healing period post tooth extraction, you can begin the process for a Rigby Dental Implant. The first procedure inserts an artificial root into the bone, usually made out of titanium. Good oral health will improve your candidacy for this procedure considerably. If that is the case, then we simply allow your body to do its amazing work of healing and regeneration. Expect 4 – 6 months to allow your incision site to heal and the titanium root to infuse with your bone. If you are concerned about having a gap in your smile for several months, there are temporary filling options you can discuss with Dr. Mikesell. Once the titanium root has infused with your bone, then it’s ready to support your new post and crown. Your porcelain crown will match your surrounding teeth in color and size. Aside from our free spa-like amenities, we have medical interventions available to accommodate an array of comfort levels. If you have any anxiety about this procedure, perhaps you would benefit from Conscious Sedation anesthesia during your procedure.